Quality and balanced diet is the main source of energy for life and therefore an indispensable part of our everyday. The variety of food available to us at virtually every step and many advanced cooking technologies open up a plethora of choices as to what and how we cook and eat. Nevertheless, there is still no place like home, is there? Aware of this fact, Gorenje has developed a new generation of built-in ovens – personal cooking assistants for those looking to make tasty and healthy homemade food. Special arched oven cavity and smart combination of heaters, temperature, and cooking time make sure the food is juicy and soft, while the friendly user interface and appealing design make sure the appliances are simple to use and that your everyday home cooking endeavours are truly fun. We are happy to introduce a cookbook of top-class recipes resulting from years of experience, testing and research in the field. Following are 98 carefully drawn up recipes systematically divided based on 9 basic types of food, which will aid you in cooking perfect meals. All recipes are intended for use with your Gorenje HomeChef or ProCook oven/steam oven and are specially adjusted to functions and settings of these ovens. 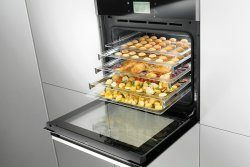 Gorenje ovens are made as multifunctional tools that allow cooking, baking, roasting or grilling in a number of ways, with or without steam, reheating etc. Moreover, they are easy to maintain. The heaters in the bottom and in the ceiling of the oven cavity will radiate heat evenly into the oven interior. Pastry or meat can only be baked/roasted at a single height level. Only the heater on the oven cavity ceiling will radiate heat. Use this heater to brown the upper side of the dish. Only the heater on the bottom of the oven cavity will radiate heat. Use this heater to brown the lower side of the dish. Bottom heater, round heater, and the fan will operate. This is used to bake pizza, moist pastry, fruitcakes, leavened dough and shortcrust on several levels simultaneously. This is used for baking leavened but low-rising pastry and for preserving fruit and vegetables. 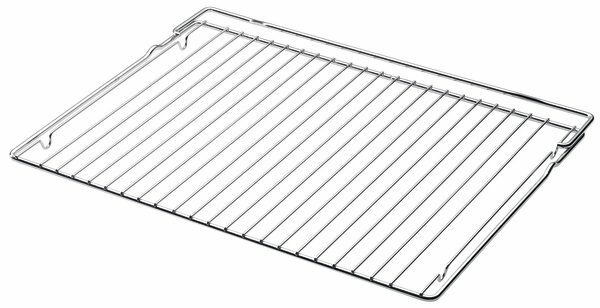 Only grill heater, a part of the large grill set, will operate. 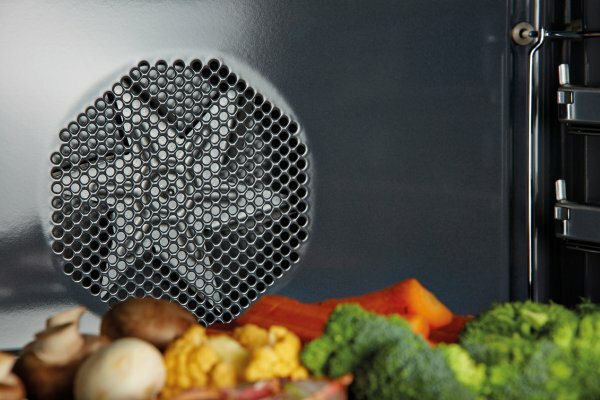 Use this heater to grill a few open sandwiches or beer sausages, or for toasting bread. The upper heater and the grill heater will operate. The heat is radiated directly by the grill heater installed in the oven ceiling. To boost the heating effect, the upper heater is activated as well. This system is used for grilling a smaller amount of open sandwiches or beer sausages, and for toasting bread. Grill heater and the fan will operate. This combination is used to grill meat and to roast larger chunks of meat or poultry at a single height level. It is also appropriate for dishes au gratin and for browning to a crispy crust. Round heater and the fan will operate. The fan installed in the back wall of the oven cavity makes sure the hot air constantly circulates around the roast or pastry. This mode is used for roasting meat and baking pastry at several levels simultaneously. 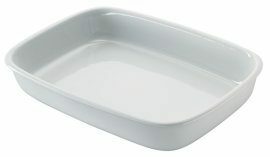 Use this for all types of meat, stews, vegetables, pies, cakes, bread, and dishes au gratin (i.e. food that require longer cooking time). Steam system are used for cooking and defrosting. They allow quick and efficient cooking without changing the colour or shape of the food. Three options are available: high, medium and low. Microwaves are used for cooking and defrosting. They allow quick and efficient cooking without changing the colour or shape of the food. Advanced models of Gorenje ovens will do nearly everything for you. 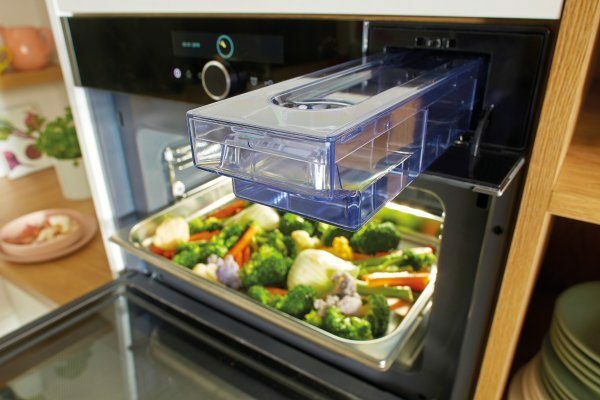 Complex cooking procedures have been turned into easy functions and programs, and the complex innovations behind the user interfaces translate into appealing form and simple use. 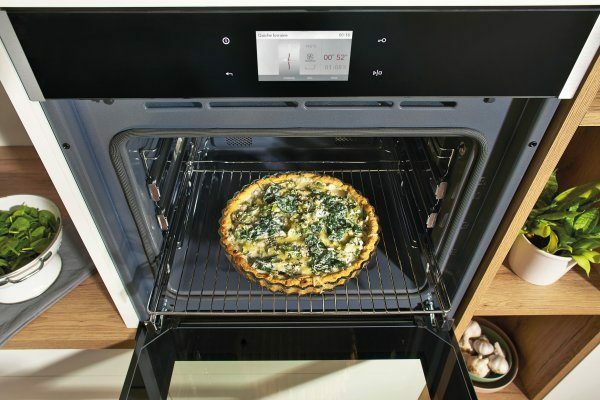 Gorenje offers ovens with the unique HomeChef electronic programming module with a large colour display that allows selecting the functions simply by sliding your finger across the screen. This is a revolution that leads to remarkable cooking results for beginners and pros alike. Gorenje also takes pride in its ProCook user interface which paves the way for exceptional culinary experiences with single-button control that takes care of appropriate settings of all key parameters for your favourite dish. The ovens with these types of user interface offer many automatic cooking programs and a number of recipes that are childishly easy to follow. You do not have to think about the parameters, although they are precisely described below (cooking time and temperature, combination of heaters) or to set the manually, as the oven will choose them automatically. What is left for you is to use the innovative user interface to choose the type of food, enter the amount, set the desired level of doneness and, if required, enter the time when you wish the cooking process to be finished. The oven then automatically adjusts all settings (temperature, cooking time, and heater combination) and indicates which guide level to use; all you have to do is press "Start". The oven will indicate every simple step to make. When it is done, the only thing left for it is to wish you bon appétit! You can now live your culinary dream in your home kitchen, surrounded by your loved ones, without effort and while saving time and energy. 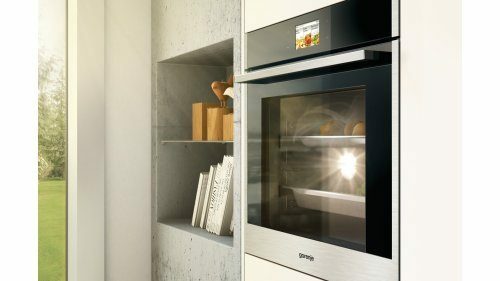 For the users of technologically perfected and superiorly designed Gorenje ovens, we carefully chose all the accessories that are either included as a part of the basic equipment, or available as optional extras. Years of experience and profound understanding of the needs of our consumers dictate a broad selection of baking pans and dishes that will make your cooking easier and oven operation as efficient as possible. 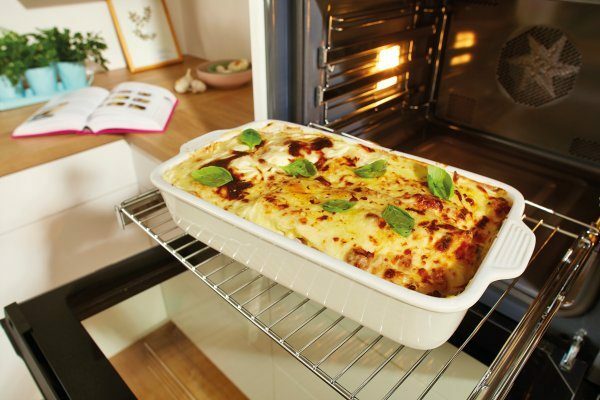 Gorenje ovens can cook food on up to five different height levels, depending on the type and amount of food being cooked. Moreover, they allow cooking at several levels simultaneously. Smart air distribution will make sure the food at every level is cooked evenly and without mixing of flavours and aromas. The impressive power of steam cooking has been known for millennia; nevertheless, cooking in water seems to have prevailed as the preferred method. At Gorenje, we are aware that food in direct contact with water loses nutrients and authentic flavour, and natural colours turn a sad shade of pale. We therefore developed, building upon years of research, steam ovens that allow simple and comfortable cooking of healthy, nutritious and deliciously looking food in your home kitchen. Steam cooking is one of the healthiest cooking methods. Gentle steam action during cooking preserves important minerals and vitamins while making sure the food retains its full and intensive flavour and colour, and remains compact and juicy. A delicious and hearty meal no longer requires a heap of herbs and spices or more than a few drops of oil. Indeed, appetizing food can be made without any fat at all, and the food can finally shine in all its glory of natural ingredients. 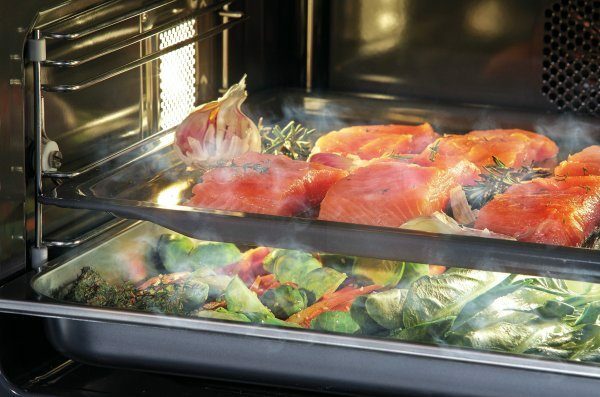 During steam cooking, the steam is injected into the oven from a special water heater. 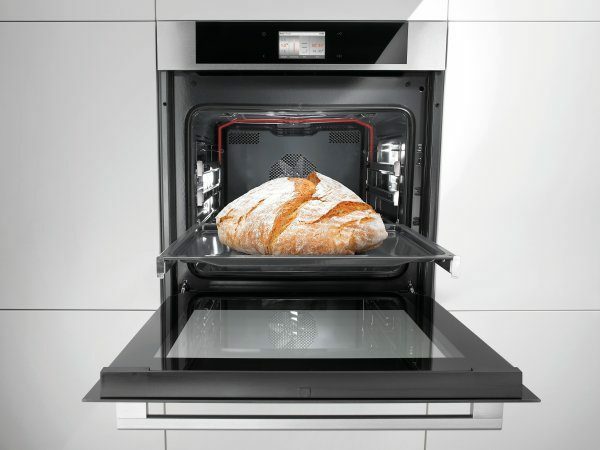 Owing to innovative technology, it is distributed evenly throughout the oven cavity. 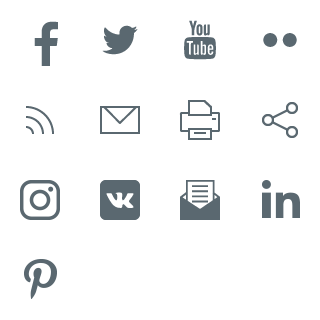 The flow of steam is automatically controlled based on the selected program. If required, the user can also set the amount of steam for a particular dish manually. 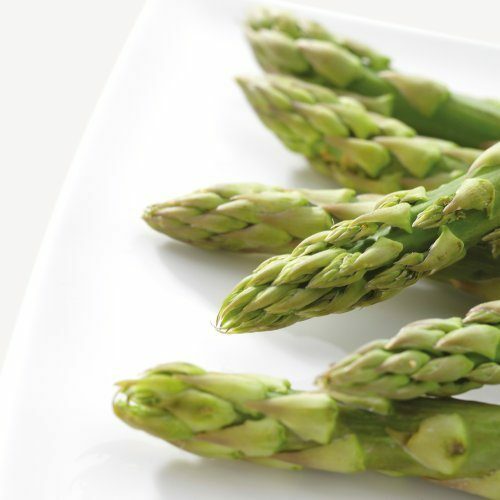 In a steam oven there is little cause for concern about burning or overcooking the food. In a steam oven, you can easily cook the entire lunch at once, from soup to dessert, without having to worry about mixing of the flavours. After cooking, the oven interior will remain dry, without water droplets and therefore without lime scale. As a result, cleaning of the oven is a breeze. With Gorenje+ steam ovens, a part of professional cooking technique is available to home chefs and everyday cooking really becomes a pleasant and simple task. Allow us to impress you. is very simple to clean. It takes a lot of scientific knowledge and years of development to come up with features and functions that are able to treat food not only as a robust energy source but also as a delicate source of vitamins, minerals, fibres and, of course, smells, tastes and pleasures. Gorenje steam ovens thus include a promise of healthy food, food made with respect for all its valuable ingredients and with a focus on the needs of the body. 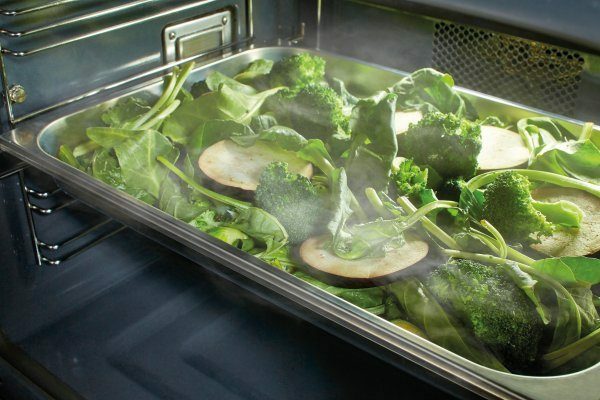 The same ventilation system used in conventional ovens, MultiFlow 360˚, is used in steam ovens. After the steam enters the oven cavity through multiple openings, a special fan distributes the steam evenly, giving the food a soft and tender feel. One water tank is enough for the entire cooking process so no additional opening of the oven is needed, saving time and energy and improving the overall steaming results. 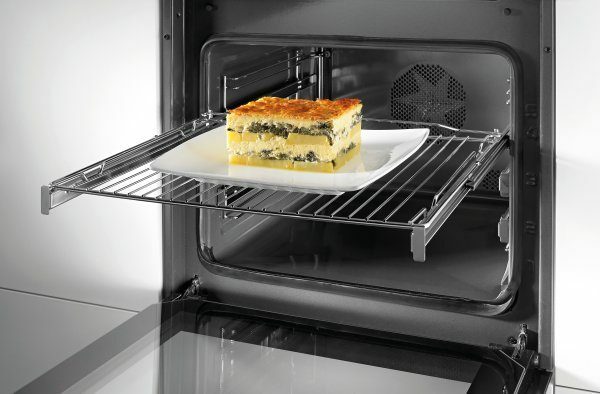 Gorenje combi steam ovens feature an excellent steaming performance that produces steam without any drops of water. 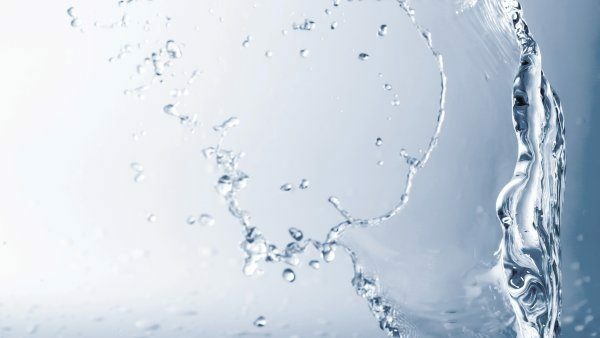 Gorenje steam ovens are completely free from water in the oven cavity, thanks to the steam generator which extracts water from steam, leaving it completely clean. A cloud of pure steam is distributed all over the oven, without any drops of water that could spoil the food, making it soggy. It is also perfect for defrosting since warm steam evenly surrounds the food without creating hot spots. The large, practical and elegant water tank is easily accessible and can be refilled even during the cooking process, without ever interrupting it. The 1.3l tank is smartly positioned for easier handling and designed to offer more space and prevent spilling. The capacity is sufficient for the longest steaming programmes. It can be easily dismantled and cleaned in the dishwasher. The descaling function operates automatically. When needed, it reminds the user to run the descaling process. After a special descaling solution is added, it takes only 1 hour to complete the process. 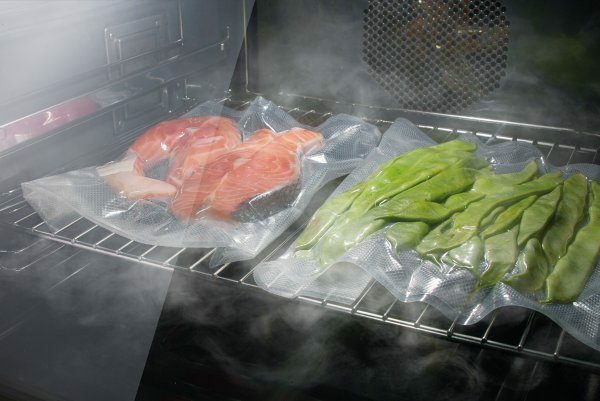 SousVide means a simple, yet magical trick: cooking inside vacuum bags. Food is prepared in a way that preserves vitamins, minerals and other nutrients. 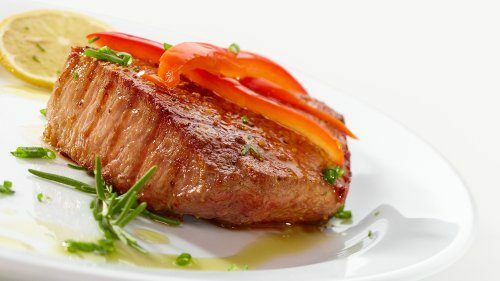 Since the food is prepared in a vacuum and at low temperatures, the inside of the meat is always juicy and tender while vegetables stay smooth and firm. This process is available in Gorenje compact steam ovens. 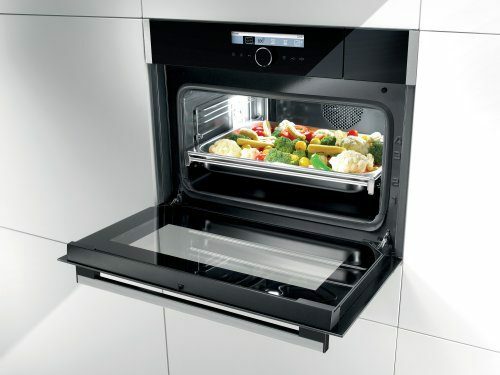 Combi steam oven can be used to reheat or defrost dishes. When the food is reheated, it is not additionally cooked, and it never dries out. Defrosting is uniform and gentle enough not to alter the structure of the food. Therefore, defrosting and reheating in a combi steam oven is simply healthier.